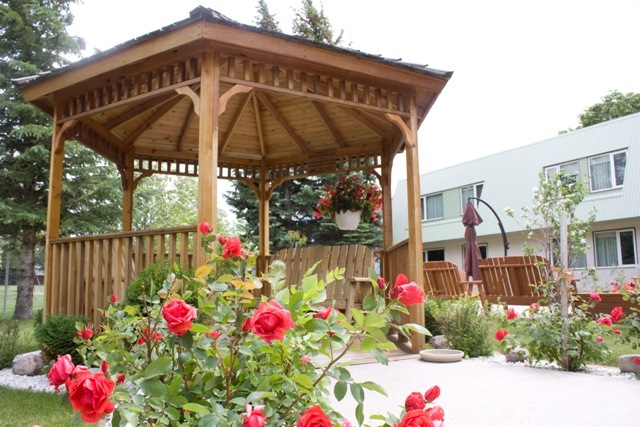 The Guest House at Alberta Rose Lodge provides affodable, convenient and short-term accommodations for adult patients seeking outpatient treatment at the Chinook Regional Hospital and Jack Ady Cancer Centre. It is also available to individuals from outside Lethbridge with family receiving inpatient care. The Guest House is located in a quiet neighbourhood less than 2km from the hospital. It is close to shopping, drug stores, banks, a movie theatre and restaurants. Each suite is fully furnished and has its own private bathroom. Single and double occupancy rooms are available. Guests have access to a shared kitchenette and laundry facilities. The shared kitchenette includes snacks, fridge, microwave, toaster, kettle and coffee maker. Meals are available at a nominal cost and are served in the dining room. The Guest House at Alberta Rose Lodge is staffed on a 24-hour-a-day, 7-days-a-week basis and is a barrier-free, wheelchair-accessible facility. The Guest House at Alberta Rose Lodge is made possible through a partnership between the Chinook Regional Hospital Foundation and Green Acres Foundation in Lethbridge. Donations are gratefully accepted for the Guest House through the Chinook Regional Hospital Foundation.